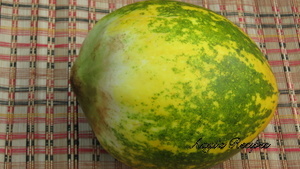 Magge or moggem is a special kind of cucumber. 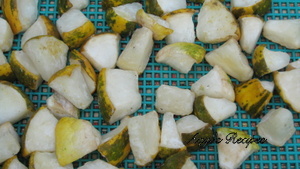 It is widely used in cooking at our place. 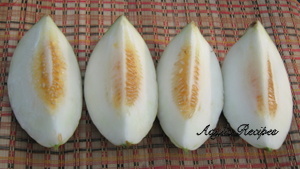 In Bangalore, it is sold as Mangalore Southekayi (cucumber), this is called Dosakaya in Telugu. This is usually cooked before consuming, but there are few recipes where tender magge is eaten before cooking. 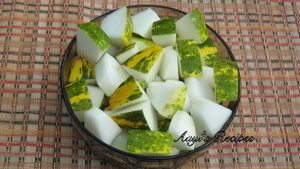 These sundried cucumbers or magge salli are very popular among Konkanis in our area. 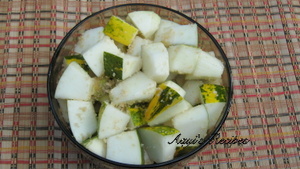 Tender magge which are called magge murto are used for this dish. 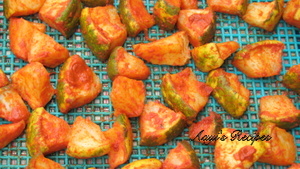 Once the pieces are sundried with all the spices, they are served like pickle. They have a nice crunch to them. We used to make these very frequently when we grew magge in our backyard. These days were buy tender ones from sante (farmer’s market). These stay good for a week or so. Cut magge and apply salt and sundry. Apply the spices and sundry again. 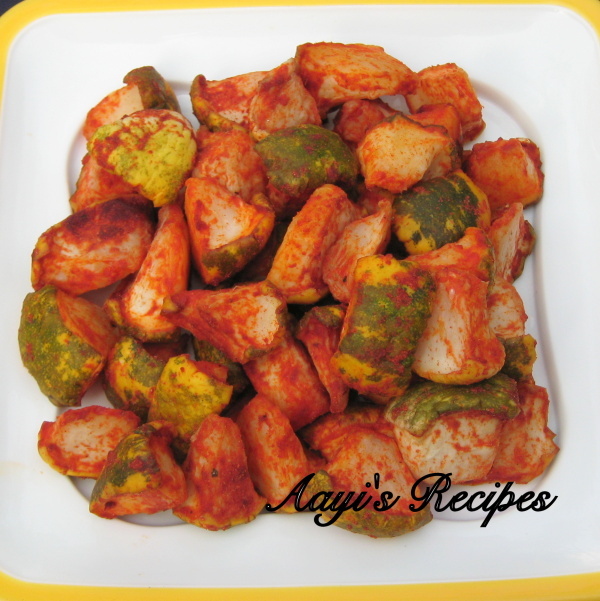 Spices are added to tender magge/Mangalore cucumbers and then sundried to make these crunchy magge salli. Remove the seeds from magge. Do not remove the skin. Cut the magge into 3x3 inch pieces. Add and mix salt to the pieces. Sundry under very hot sun for 1-2 days (till they are half dried). Make a paste of chilli powder, asafoetida with just few drops of water. 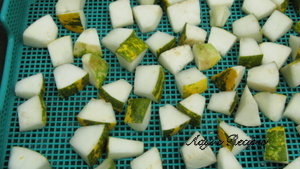 Apply the paste to half dried magge pieces and sundry them again for 2 days. For a high water content vegetable it is surprising to know that it can be sun dried and stored too. Thanks for sharing will try it in summer.